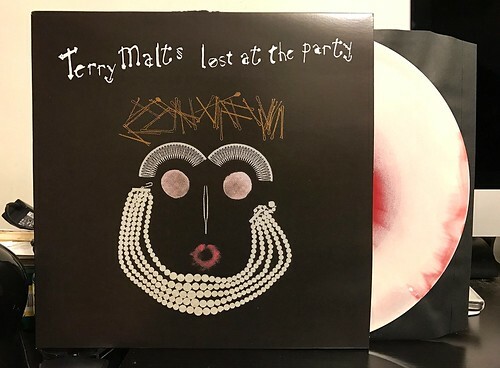 Lost At The Party is the second album I've purchased by Terry Malts. Though I had a few minor issues, I really enjoyed their last record, Nobody Realizes This Is Nowhere. Lost At The Party is something a little bit different this time out. On some songs, they come out better for it, but on others it's a move that doesn't work out as well. Terry Malts is a band that I like the most when they are playing fast and loud. A little bit of fuzziness goes a long way with these guys. When the pace quickens on this album, as it does on standout tracks like "Won't Come Find You, "Seen Everything" and "Come Back," Terry Malts are at their best. The hooks are there and with the drums pounding and guitar howling, this is a band to be reckoned with. The biggest issue with Lost At The Party is an over reliance on slower, eighties sounding songs. These ones are schmaltzy and sound way too much like they're trying to be part of the soundtrack of a John Hughes movie. "Gentle Eyes" and "Waiting For The Bomb" are my least favorite of this bunch. They just grind the album to a screeching halt. That being said, when the band is upbeat this is a pretty great record in places. I just wish they were upbeat a bit more often.